Here's a picture from the first batch of coats delivered for this years Operation Warm. 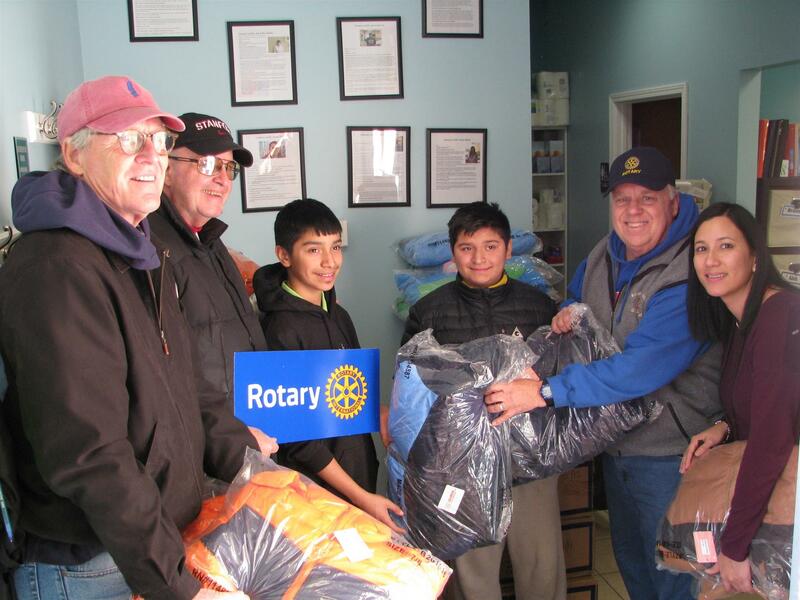 Rotarians (l-r) Peter Elmer, Fred Jackson & Terry Desmond delivering coats recently at the Nuestro Center in Highwood, Il. Thanks to Rotarian Dave Shafer for organizing this great annual event; warms our hearts, while warming up the kids! Behind the camera delivering more boxes of coats, Ellen Young and we're always thankful for Club Member, Don Fiore, for lending his annual support by graciously providing a distribution and logistics facility.